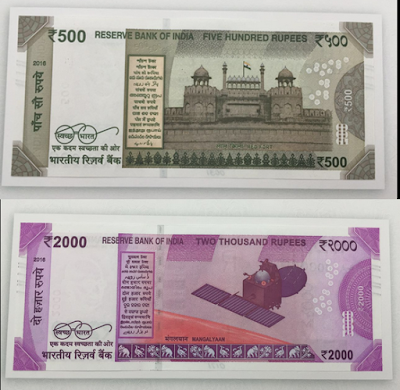 In a historical move that will add record strength in the fight against black money and counterfeit notes, the Government of India has decided that the five hundred and one thousand rupee notes will no longer be legal tender from midnight, 8th November 2016. All ATMs and other cash machines will remain shut on November 9, 2016 to facilitate recalibration. When ready, they will be reactivated and cash drawals from ATMs will be restricted to ₹ 2,000 per day per card up to November 18, 2016 and the limits shall be raised to ₹ 4000 per day per card from November 19, 2016. PM Narendra Modi in his speech said following from now on, Rs 500 and Rs 1000 notes will not be used. Have 50 days to turn them into banks and post offices. On November 9 and in some places on November 10, ATMs will not work. Respite for people for the initial 72 hours, government hospitals will accept old Rs 500 and 1000 notes till 11 November midnight. Petrol pumps and retail outlets will have to keep every single entry of cash transaction with 500 and 1000 notes till November 11. Crematoriums and cemeteries will also be allowed to transact 500 and 1000 notes till November 11. There will be no change in any other form of currency exchange be it cheque, DD, payment via credit or debit cards etc. i read your article and i do not agree with you. I think this is a good move that will make cash transactions more accountable in the future. But how they are going to manage the operational difficulties of such a large program is to be seen, especially given our inefficiencies. A larger time frame and flexibility may be needed wrt. exchanging small value notes, at the least. What is the point of banning 1000 rupee notes and introducing a higher 2000 rupee denomination? Why not ban these currencies altogether? The higher denomination may encourage more black money and corruption in the future.